The advanced technology within EVO offers a dramatic leap forward in the ability to spray oils without pressurization and propellants. 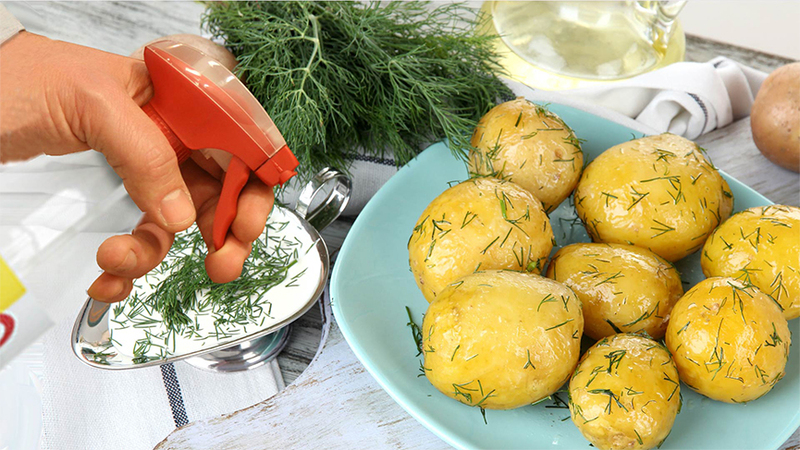 Evo allows you to spray pure oils easily, simply, and very economically. To some, a trigger sprayer that sprays oil is no big deal. 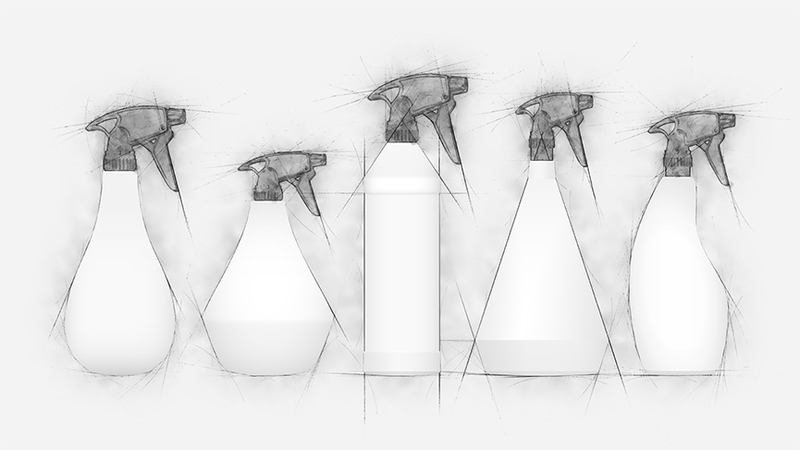 To us, developing a technology that could eliminate the need for a large number of aerosol dispensers is about as good as it gets. Making anything more effective, simpler, less reliant on chemicals, and more pure is a good thing. A technology as sophisticated and functional as Evo also deserves to be beautiful. That’s where our partnership with Michael Graves Design Group (MGDG) comes in. We approached MGDG to design a bottle and to create an iconic aesthetic worthy of the Evo technology. The bottle design process started with dozens of sketches, doodles and ideas. We narrowed all those ideas to a handful, and we then considered how all of those designs would feel and work. At the same time, the Design Group was working on getting the fonts right. We know it sounds crazy to spend time and money getting the font right when there are lots of perfectly good fonts widely available, but then we’re sticklers for small details. Our view is to make products as good as we can, and innovation occurs when you question every detail, right? With the EVO font, we wanted to evoke something natural, artisanal, and with some reference to olive and vegetable oils. The stylized “E” in the font became the inspiration for the trigger design, and the scalloping made for a natural ergonomic feature that helps give the trigger a more positive, less slippery, feel. 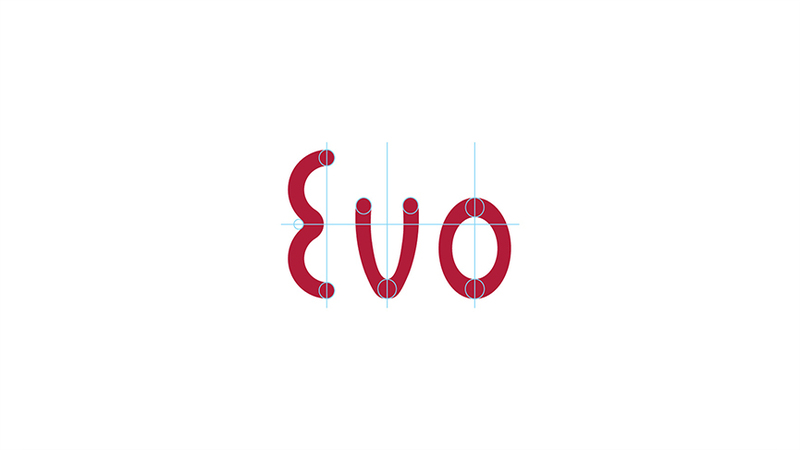 That “E” is also evocative of old Greek fonts, so we build on the association with a leading olive oil producing area. We also took a close look at the connection between the bottle and the trigger sprayer. We realized that most trigger sprayers have ridged caps, which help manufacturers of various liquids attach the trigger sprayer on their filled bottles (the ridges offer friction to the capping machines). We didn’t need those ridges, so we were able to design a cap that looks much more like a wine or beverage bottle. It just looks better. Once you have your EVO bottles, and once you fill the bottle with your favorite oil, we asked ourselves how you would be able to tell your EVO bottle full of olive oil bottle from your EVO bottle full of canola oil and so on. We knew we needed a way for you to label EVO so you can easily identify the oil you want to spray. We looked at different ways for us to include printed labels or stickers, but none of those ideas seemed fun and different. Since EVO is such a radically new way of spraying, we challenged ourselves to provide a radically new way to identify the oils. So we had the idea of using printed rubber bands. Printed rubber bands are fun, convenient, intuitive, and easy to put on the neck of the bottle. You can remove them, wash them, re-use them, and we like that. We hope this story has given you a better appreciation of the innovations behind EVO. We welcome your feedback, and we’d love to hear what you like about EVO, how you use it, and yes even what you don’t like. Hey, we recognize that no product is perfect, and we always look for ways to improve. Enjoy your EVO, and thank you for buying EVO!